Every Wednesday, we explore a new side hustle, and today is about tutoring. I have been a tutor ever since I was 12. I used to pick up two kids after school, bring them home, give them a snack, and then do homework with them. They didn’t have much of a learning problem, but lacked attention so their grades were slipping and their parents didn’t have time to oversee homework. I also taught the piano for five years when I was in high school. My music teacher would let me use the music room at lunch time, and I gave a one hour lesson to another kid from my school. The hours are very flexible. You can have one student, one hour a week, or make it a full time job. It is up to you and what you can give. You teach what you like. I have taught music, French and Spanish, on top of overseeing homework. Homework was a bit boring but I loved the other topics. I would bring something fun for the lesson, like a French song to learn, or a list of Spanish slang, and we would do that at the end of the lesson. It was not all grammar and conjugation. You set your rates. When I was living in an affluent part of the UK, I was charging between $40 and $90 per hour, gas money on top. I provided all the lessons that I printed beforehand, so there was a bit of work outside the lesson but it was a great hourly rate. I started at $30 which was really cheap compared to similar ads and increased my rates as I got more gigs. It helped that I had years experience, although no one asked for references. You can tutor online. There are a few sites that offer online tutoring, either live lessons via Skype, or they hire you to grade papers. If you are giving live lessons via skype, you may want to have a screen sharing feature available for better cooperation between tutor and student. They don’t pay as much as if you find your customers directly, but can bring you more business and you don’t have to move from home. Register as a mentor (tutor) on LearnOK.com and make good money online! High market for customers. If you tutor math, at least 10% of the local high school students will need a tutor at one point. For music or languages, there are always people looking to start lessons, who don’t want to wait until the next class starts at the community center. You may have more problems with retentions because people suddenly get busy or bored and give up, than finding new customers. Complement a teacher’s salary and hours. Kids need tutors when they are not in school. If you are already a teacher, it is the perfect side hustle to make a little extra, you can even ask the kid to stay after school and use the classroom to tutor, meaning no commuting costs or time lost. You highly depend on the economy. I was tutoring until 2007, then most of my pupils stopped their lessons because it is the first thing they cut when their parents trimmed the budget. Odd workdays. You will generally tutor after school, and on weekends. You may have no work until 4pm, then have three lessons and get home by 9pm. People may ask you to come on Sunday because they had a family thing on Saturday. You don’t go, you lose money. Prep time. I had a few websites listed for French and Spanish lessons, so after a while it only took 10 minutes or so to prepare for a lesson. Still, that is unpaid time you will spend at home getting ready. If you teach music and need more time to look for a song or learn it before the lesson, you should factor that in your price. Full time is never full time. If you ask the pupils to come to you, you will have less business. You are charging more for the convenience of them having a lesson in the comfort of their homes. If you teach one hour here, one hour there, you need at least half an hour to say goodbye, get paid, get to the other place and begin. Never think that your hourly rate times 40 equals to a 40 hour workweek. If you manage at all to find the perfect fit where pupils line up one after another, Monday to Friday. No money during the holidays. Unless you find someone who has a lot to catch up until the next school years, you won’t have much work, if any, from June until September. And even then, parents wait a few weeks to see how the new school year goes before they hire you again. January is the time for resolutions and business should be booming. Cancelations. People think you are at their disposal. And like a gym membership, few will have the assiduity to attend every time. My pupils were allowed to cancel 24 hours before for free, then the money was lost. If they cancel 24 hours before, chances are you won’t find another gig for the next day. And if they cancel on the same day, they may get annoyed they lost their money, and not call you again. I didn’t mind too much because I had LOTS of students so the odd night off was pretty welcome and I didn’t need the money badly. My mum is a teacher who tutors after school and sometimes the parents are a real PITA rescheduling three times before she actually gets a paid lesson. Money: How much can you make being a tutor? As mentioned above, you decide how many hours you want to put in, so it will greatly depend on your involvement. I used to teach one hour every night, Monday to Friday, and sometimes on Saturday morning. $40 per hour five times a week is about $850 per month. I am aware that my rates were high, but you should try to teach at the highest level possible (college, enthusiast musician instead of beginner) so you can command higher prices. If you teach one hour per week at $25 that is still $1,300 per year in your pocket. Because the starting costs are very low, that is a good option to try, even if things don’t work out, at most you will have lost a few pennies making photocopies for the next lesson. Most of my clients came from ads I put on the local equivalent of Craigslist, Gumtree. Make a simple ad, with your rates in the title (many tutors don’t put rates in the ad, I personally hate having to contact a person, wait for a reply, only to find out they charge too much). Give many details, which grade do you tutor, which subject, are you able to tutor a college student… and give your credentials, either years of experience, or a teaching degree. I didn’t have one but to teach French, nothing like a native :). Another sizable part of my customers were referred by tutoring agencies. Their rates are much higher and you get about half of what the client really pays. Those customers were mainly professionals about to be assigned a job in France, whose company was paying for the lessons. Their expectations are also higher, so make sure you are able to deliver, and listen well on the first lesson when they explain why they want to learn or improve their skill and what they expect from you. Or you can read about my post talking about if you’re interested in the future. I also applied to the local council to teach French in adult classes, but they were only accepting people with a teaching degree. I got a job a few years back teaching adult classes in Guatemala and it was a lot of fun teaching to a small group instead of just one person. Have you ever tutored? How did it go? This post was featured on the Modest Money, Frugal Friday, thank you! This is something I wish I had pursued while I was in college. I feel like the tutors were forced to learn the material much better than the average student and were able to make money helping other students. Win-win imo. You mean tutoring a subject while you were taking it at the same time? I wouldn’t feel really comfortable. Teaching a year down would be my minimum, so I can justify that I already got an A in that subject. Actually at college most subjects have student tutors (i.e. Finance, Accounting, etc.). You would have to be approved by a professor and have taken a minimum number of classes in the subject before tutoring, but I would have loved being a finance tutor. My wife was a stats tutor and really liked it. oh, I see! we have teaching assistants too, but if you want private tutoring from them, that is extra. It is a great way for the assistant to recruit private customers. At my school they had student tutors separate from TAs. And a lot of times they were in the same class as you or just one course above. It wasn’t the greatest quality, IMHO. But that was just my school. I’ve tutored before and LOVE it. It’s the epitome of getting paid to do something you love, as long as you have the patience and creativity for teaching others. Being just one class above helps because everything is still fresh in your mind, but i get that they probably lacked teaching abilities. Pauline, this is excellent. I think most people forget they likely have knowledge they can share as a tutor. When I was a high school student I made money tutoring younger students – younger by just a year or two. One family hired me to tutor their son in history and when his grades jumped, I wound up with more tutoring gigs than I could handle. Tutoring is a great way for teens to make money. So many jobs now require that kids be at least 18, so this is open to people of all ages. Thank you Betsy. It is a great job for teens, and it pays more than baby sitting. I don’t know if I could teach senior year math anymore, but if you are a senior and teach a junior everything is fresh in your mind. I used to tutor finance classes for an MBA program here. I did extremely well in those classes and the professor really liked me, so he asked if I would be interested. I did this for a couple years and he pretty much did all the leg work and would send me students who were struggling and I would help them get at least a B in the class (or I would give them their money back). I mostly did it because I love the subject matter and not for the money. I have since stopped doing it, because I decided to use my free time doing other activities. If I was asked to do it again, I would probably think about it for a few minutes and turn it down, I just have different priorities now. The hourly rate is great, especially if you have many students for the same materials, you don’t have to prepare so much for the lessons. Sure it is more of a student job or someone close to the academic world, otherwise it is hard to do on top of a demanding job. You make a great point that even if you only make $25 per week, that’s still a decent amount of extra money in the bank. Not enough to cover your expenses, but enough to fund a pretty sweet vacation or put away some extra savings. I think this is a great way to make some extra money since almost everyone has a skill that other people don’t and certainly may pay for. Matt Becker recently posted…Is Now the Right Time to Buy a House? yes, it won’t change your day to day life but if you keep it somewhere in a piggy bank at the end of the year you can treat yourself big time. I have never tried tutoring, but I know quite a few people that have asked me to teach them or their kids some things about Excel. I really don’t have time for it now, but I think it can be lucrative if you have a good client base. It is great money if you have regular customers. My main problem was people dropped out when they saw it required a long term effort. Few stuck for more than 6 months but it was easy to find new ones. My sister tutors while in Uni, and loves it. The odd hour here and there really adds up quickly, and she has spending money in her pocket. It is an awesome job for students, as you can work around your own studying hours and be flexible during exam periods. It seems like a lot of bloggers offer “blog tutoring” pretty successfully. I might try to become a “resume tutor”. Nick @ ayoungpro.com recently posted…How Much Should You Spend on a One Year Old’s Birthday Party? Yes, you can teach anything once you have a knowledge a bit superior to the average. I am not a professional piano player but to teach beginners I did just fine. I taught summer school once to kids who weren’t going to pass to the next grade without credits during the summer. I have to admit, I really hated it, but it was a good college job at the time. Too bad no one wants to be tutored about conjunctivitis! Thank you Amanda! You can get kids up to speed for September maybe? I make all of my income by tutoring! I love my life, and my hours have been more than cut in half from when I was a public school teacher. Pauline, this is so informative. I love how you explained the perks and pitfalls. Because I worked in the public schools, I had a lot of connections. Many of my colleagues referred parents to me. My students come primarily from two schools, and I no longer have to spend money on advertising because word of mouth is so powerful. If you are reliable, organized, and know your subject(s), tutoring is a great way to make money. It is also much more rewarding because I feel like I’m actually teaching! I loved one to one lessons too, they are much more powerful. If I have kids I would like to homeschool because I believe you lose so much time in the classroom they would have to study only for a few hours to get to the same level. Word of mouth is the best way to find clients, those agencies I used were great because I had just moved to the UK but they I got more referrals. This is something I have been thinking of getting into! There are a couple of subjects I would feel comfortable tutoring, and online would be great so I could do it from home! The only thing online is you may be underbid by people from abroad, who have studied the US curricular. If you advertise on Craigslist however I don’t think you’ll have foreign competitors. present herte at this blog, thanks admin of this site. Nice post!! I just loved reading it. I completely agree with you that tutors can be very beneficial for a child. One of the best advantages of hiring a math tutor is the opportunity to practice with an expert, ensuring that you get your steps and solutions correct, as well as tips and shortcuts. 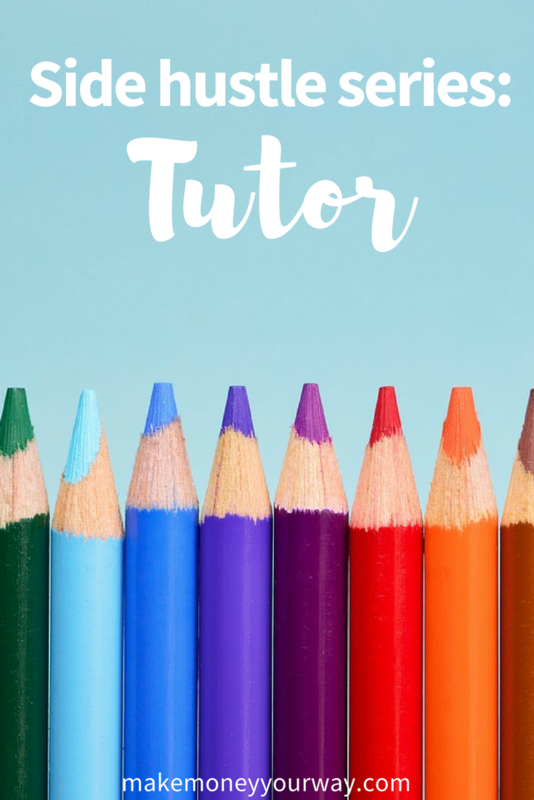 Tutors generally have plenty of relevant practice material that students can work on themselves or with the tutor, to improve their problem solving skills.